"All true language is incomprehensible like the chatter of a beggar's teeth." 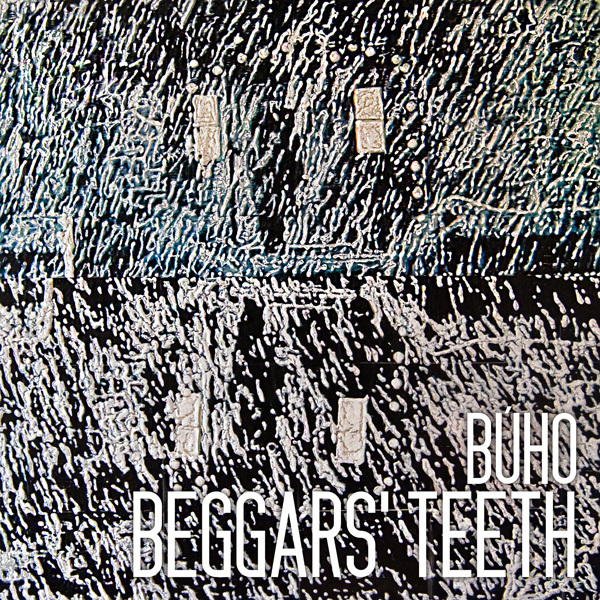 Re-release of Búho's 2012 EP "Beggars' Teeth". Re-recorded, re-mixed, and re-mastered for Crowquill, and released on October 15, 2013. 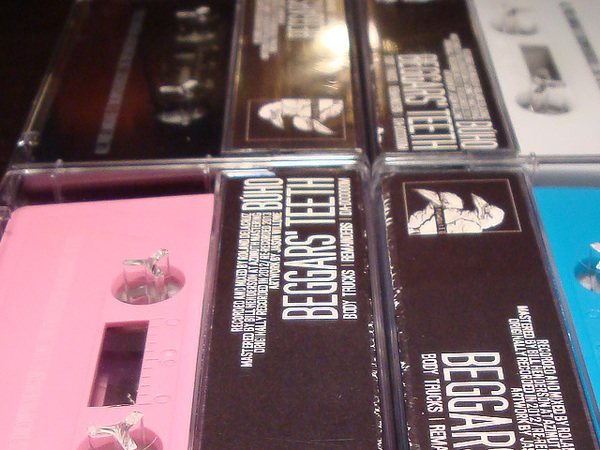 Beggars' Teeth is a three song release that works as a "show-all/tell-all" of what the band is capable of. The release is highly eclectic in song writing and style that is tightly interwoven so that it's tough to deny the band of having a unique signature. Beggars' Teeth ranges from melodic noise based arrangements to flowering pop elements and closes off with a "cut/paste" structured song that somehow manages to work together so well that you'll go through listening to it and not realize that you just experienced a minimum of three musical genres back to back with in the same song. All music written and performed by Brad Angotti, Mauri Gudiño, and Art Romo. Bass performed by Andy Elizalde. 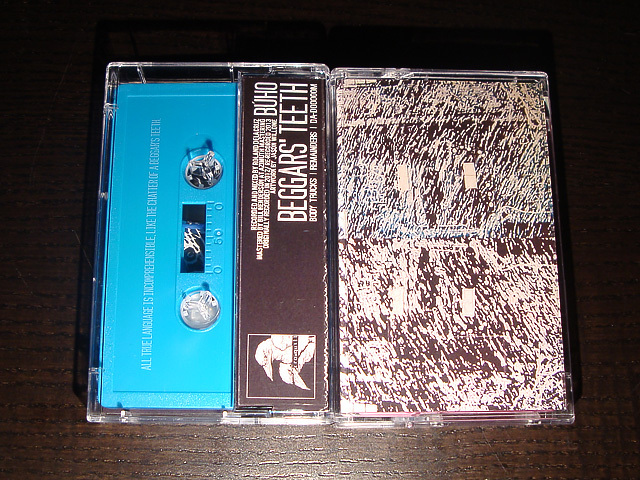 Recorded and mixed by Roland Delacruz. Mastered by Bill Henderson of Azimuth Mastering. Artwork by Jason Willome. Layout and design by Don Mau Creative. First pressing of 120 cassettes. 30 Black, 30 White, 30 AMI Blue, 30 Light Pink. Clear Norelco shrink-wrapped cases.